The names that accompanied the photograph are given below. 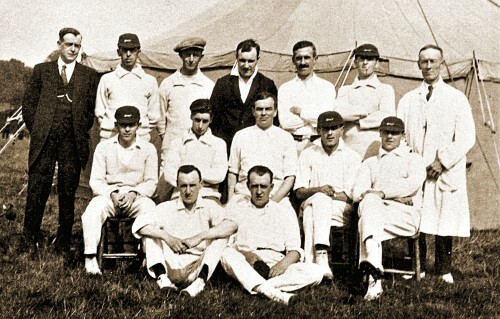 Middle row: ?, A Westley, A Dexter, J Mee, ? Missing information: Can you help with identifying the two unknown people?